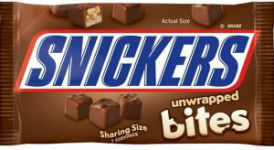 Get free Snickers Mini Bites. Like the Facebook and click on Get Free Bites. This is for the first 10,000 daily through 9/16.